Great location on the well traveled Highway 260 in the center of Overgaard. 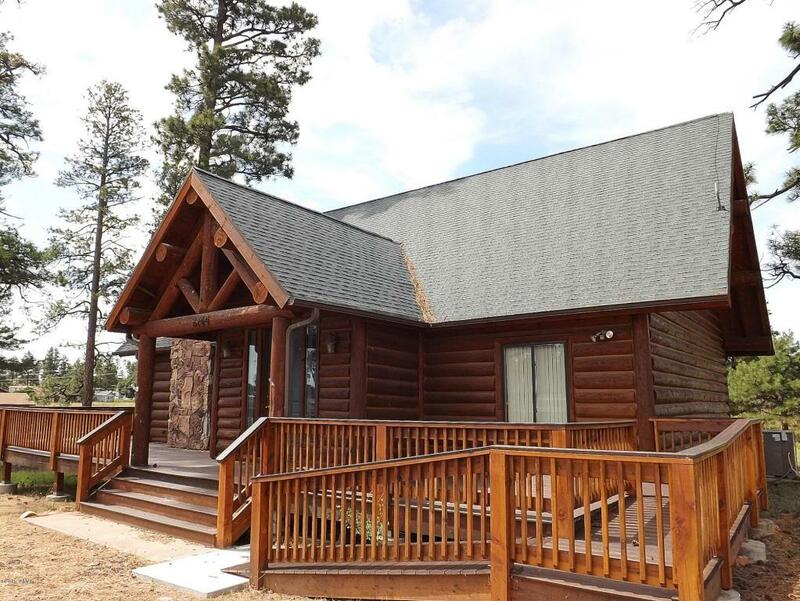 Remarkable full log cabin on 1.43 acres that makes a perfect setting for a business. Across the street from the busy Mogollon Drive, Highway 260 frontage and corners Senior Center Street. It's the perfect location for relocating a thriving business or a start-up. This can accommodate your business or be your mountain residence with 3 bedrooms (offices), 2 bathrooms, a great room with a stone faced fireplace, kitchen with island, hickory cabinetry, hardwood flooring, new carpeting, knotty pine T&G ceiling, 16 inch full logs throughout, a large loft and central heat and air conditioning. The exterior boasts a wrap around deck with trex, a handicap accessible ramp and plenty of room for parking. Also, a private well.